AT LUNCHTIME before the first Test in Brisbane, I bumped into a former Irish international working in the media. After we had determined he was having a burger and I was thinking salad (had burger) he posed a surprising question, in a mocking and condescending tone, "Kafe, do you think the Wallabies have any chance of winning tonight?" 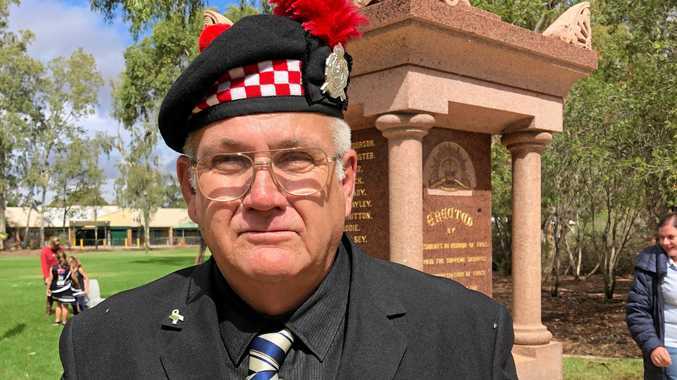 I have endured plenty of that type of chat in New Zealand, typically: "Hey Cuz, you blokes are no chance tonight, ehh." And when in South Africa, "The Boks will beat you tonight, 100%", but never had I expected to hear it from an Irishman. Sure, this Ireland team has progressed significantly over the past 12 months and steadily improved since coach Joe Schmidt's appointment in 2013. But with Ireland playing the Wallabies at Suncorp and the implication being the Australians were easy-beats, it made the burger a little more difficult to digest. I pushed through it though. He then suggested Joey Carbery, a fine player, was a clone of the All Blacks' Beauden Barrett. Now one thing I was certain of, there is no one like Beauden Barrett - except Kane, Jordie and Scott (his brothers), and I think we are already overloaded with Barretts. We don't need another one. I had concerns about my lunch companion's disposition after the first comment, and the second one confirmed my suspicion that jet lag had left him foggy. 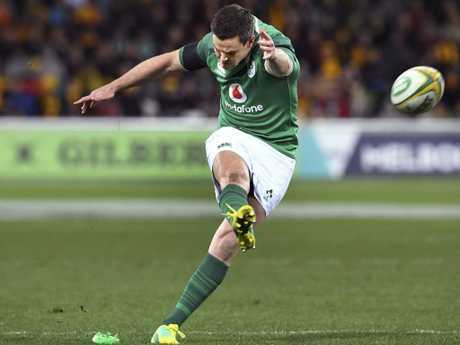 Ireland flyhalf Joey Carbery has copped plenty of attention from the Wallabies. After the match I offered some consolation, implied that his man Joey had probably not seen a back row and defensive line so attentive, and suggested the climate in Melbourne might improve the Ireland team - somehow it did, or maybe it was the changes in selection, or both. I'm not sure. Regardless, the Irish showed why they have won three of the past five Six Nations and under Schmidt have a 72% winning record. This is a team used to winning and their seasoned pros turned it on in the second Test. The difference from the first Test to the second was stark. Three minutes in it's seven nil to us, then down to 14 men and for the next 70 minutes the Wallabies could not find their groove - it was all Ireland. I enjoyed watching Ireland attack - it was like water flowing down a river, with wave after wave of players in motion. Johnny Sexton and Connor Murray conducting, players reacting, the Wallabies unable to stem the tide. Had I not known the score, I would have thought the Irish were winning the game easily. But somehow they weren't. They had 80% of the possession, all of the field position and could not put the Wallabies away. Then the Australians finally got some ball and had the opportunity to beat Ireland in the last play of the game, demonstrating the fight that underpins the Wallabies. They will not go away, never lie down, never give up. What a Test match - a game where many of the Wallabies were not at their best but still got so close to the win. Losing in that fashion, where you are not at your best and somehow find yourself with the opportunity to win at the last second, can create its own confidence for the next game. Today's Test is less about the grand final nature of the match and more about the ability of the Wallabies to continue to develop as a team, which they clearly are. There has been huge improvement for them individually throughout the course of the Super Rugby season. The numbers don't lie. They tell us the players are significantly fitter and faster and are working harder than in 2017. Areas such as set-piece, tackling, passing and breakdown efficiency have also improved. Our Super Rugby teams have scored 5.5 more points on average and conceded close to four points less; and defenders beaten and line breaks made are significantly higher this year than last. Critically, the Super Rugby teams have won 50% more games at this time of the year when compared to last year. Predicting the results of Test matches is difficult when two good sides clash. I'm confident Australia can win, but equally wary of Ireland's momentum. 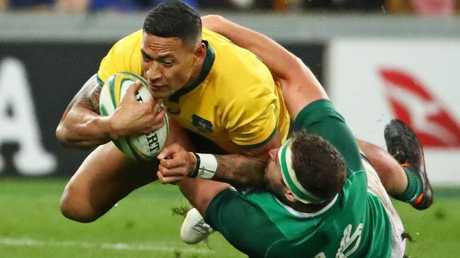 The Wallabies' Israel Folau was a dominant force in the first Test against Ireland. The Wallabies were brilliant in defence in the first Test and it set a platform for them to win the opening game. Sexton changed the second Test with his control of the ball at the advantage line, and the Wallabies' tackle percentages dipped as a consequence. Tonight's game may come down to defence. Ireland plays a game that retains possession for long periods, and the Wallabies will try to get it back on the strength of their tackles and then use their strike power to punish when they get the ball back.